Funeral services for Vertis Gene Nathan, 86, of Humphrey will be at 9:30 a.m., Saturday, September 15, 2018 at St. John Green Garden Church, Madison. Burial will be in St. Matthews Lutheran Cemetery, Meadow Grove. Visitation will be Friday from 4-7 p.m. at Resseguie Funeral Home. Vertis died Sunday, September 9, 2018 at Community Pride Care Center, Battle Creek. Vertis was born on September 11,1931 to August and Martha (Meiers) Nathan at home in rural Lindsay, Nebraska. He was the youngest of 3 Children. He was baptized and confirmed in the Lutheran Church Vertis was a long-time member of St. John's Lutheran of rural Madison, Nebraska. In 1943 the family moved to Norfolk and then in 1945 they moved to a farm north of Meadow Grove. Vertis graduated from Meadow Grove high school in 1949. In 1951 he married Patricia Lewis. They moved to the farm in Lindsay. They had 4 children; Cris, Nanci, Lori and Traci. Vertis was a lifetime farmer. He retired in 2010 and continued to live in the same house where he was born. He also enjoyed carpentry and remodeled his house and several others during his life. 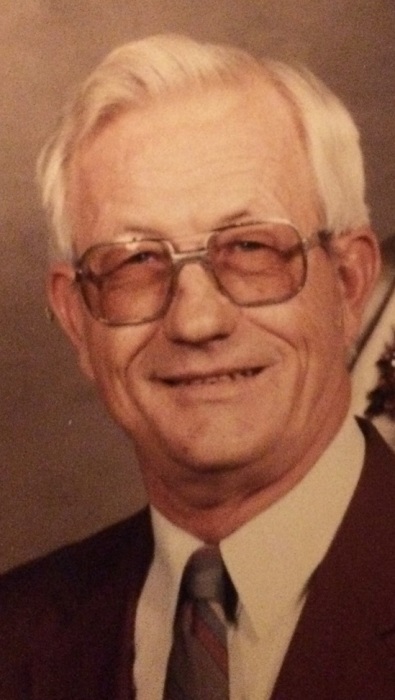 Vertis played basketball and baseball during his high school years and continued to play baseball on the Newman Grove city league after moving to the family farm in 1951. He became an avid bowler and occasional golfer after "retiring" from baseball. Vertis enjoyed playing cards with family and friends. He took pride in his exceptional garden, shared vegetables with many and consistently won blue ribbons at the county fair for his onions. Vertis and Patti loved traveling, making several trips oversees to visit family and discovering different countries and cultures. Many trips to different states were made together. Vertis was an avid fisherman and made numerous trips to Canada, Minnesota and South Dakota as well as deep sea fishing on both coasts. Vertis took great pleasure serving on the Madison County fair board for over 30 years. In 2016 Vertis was presented the Pioneer Farm Award for 100 continuous family farm ownership by the Aksarben Foundation and the Nebraska Farm Bureau. Vertis is survived by his 4 children Cris (Robbie) of Lincoln NE, Nanci Nathan of San Diego, CA, Lori Frauendorfer of Madison and Traci Sweeney of Dalzell, SC, along with his 9 grandsons: Jerimie Frauendorfer, Adam Nathan, Joshua Nathan, Jason Frauendorfer, Chad Nathan, Tim Nathan, Ben Nathan, Nathan Frauendorfer and Matthew Sweeney, sisters-in-law: Laverne Herbolsheimer and Becky Lewis, 10 great grandchildren and several nieces and nephews. Vertis was preceded in death by his wife of 47 years, Patti; parents (August and Martha Nathan), brother Edgar, sister and brother-in-law Leona and Bill Griepentrog, brother-in-law Jerry Lewis, son-in-law Gary Sweeney, and grandson Daniel Sweeney.